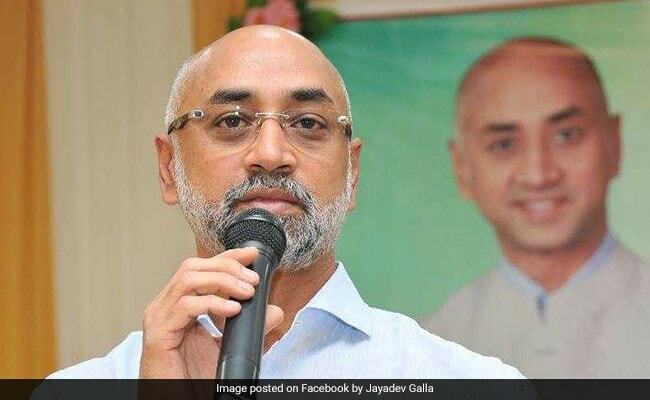 Jayadev Galla, 53, is an industrialist. He is the managing director of the Amara Raja group in India, the company that makes Amaron batteries. He is contesting the election from Guntur in Andhra Pradesh, where he won his debut polls in 2014. He is up against Modugula Venugopal Reddy of the YSR Congress Party and Valluru Jayaprakash Narayana of the BJP in this parliamentary seat. He began his speech with a reference to a Telugu movie and said Andhra Pradesh had only seen empty promises since the Narendra Modi government came to power. Both the BJP and the Congress had betrayed Andhra Pradesh, he said. "Mr Prime Minister if you don't keep your promises, the BJP will be destroyed in Andhra Pradesh. It is not a threat, it is a shraap (curse)." Jayadev Galla is known to be among the more active lawmakers in parliament. According to the Association for Democratic Reforms (ADR), he asked 496 questions in the Lok Sabha and moved six bills. He attended 85 per cent of the sessions and gained a reputation as one of the more articulate MPs in the Lok Sabha. Born in Chittoor, Jayadev Galla moved to the US at an early age and studied at the University of Illinois. He returned to India after almost two decades. He is married to Padmavathi, the daughter of a Telugu filmstar.